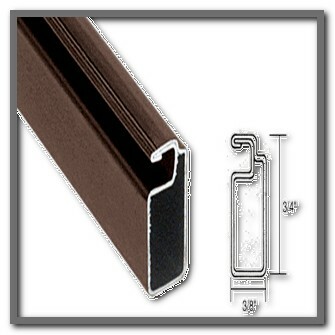 This 3/4″ x 3/8″ Screen Frame is made of 20 mil (.020″) thick, roll formed aluminum. 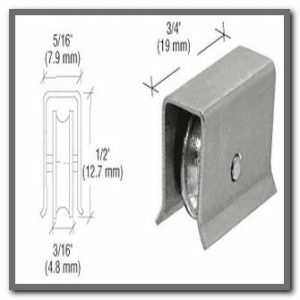 It is cambered (slightly bowed) to retain screen tension when installed. It will accept .175″ spline. 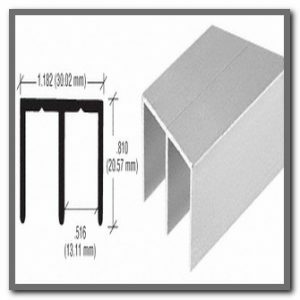 You can use either a WSC106aluminum corner for mitered frame corners or a SWSC38 square cut plastic corner for a square cut frame application.